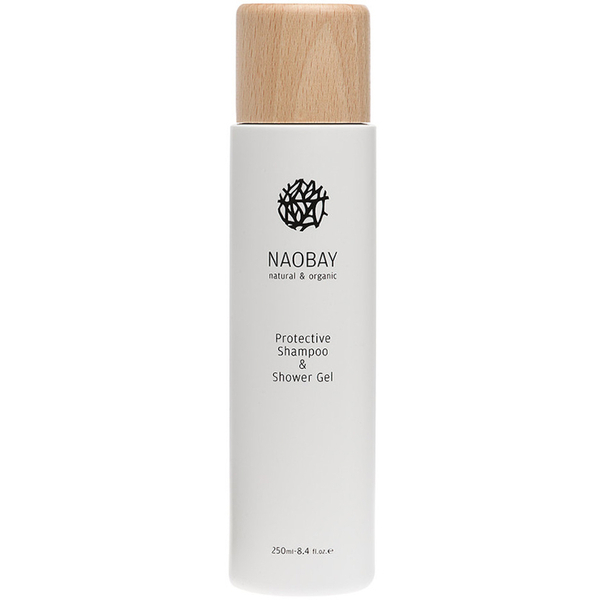 Refresh the body from head to toe with NAOBAY's Protective Shampoo and Shower Gel; a two-in-one formula that cleanses and protects skin and hair. Enriched with nourishing extracts of Gotu Kola and Chamomile, the cleanser effortlessly eliminates dirt and impurities without over-drying or stripping moisture, whilst soothing, rejuvenating and leaving skin and hair super soft. 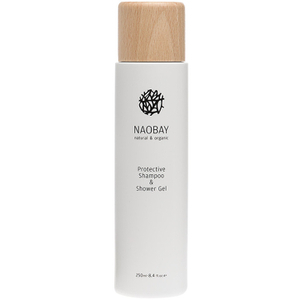 Transforms into a rich foam upon contact with water and respects the skin's natural pH balance. 99.03% of the total ingredients are of natural origin. Apply to the body and hair and work into a lather. Rinse thoroughly.